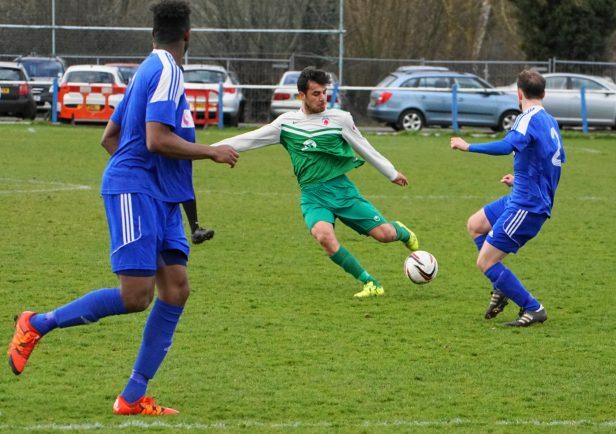 BROMSGROVE Sporting manager Paul Smith believes Hinckley will be looking to put a spanner in the works of the Rouslers’ title hopes as the two sides face off against each other tonight at St John’s Park. After Saturday’s game at Bolehall Swifts was postponed due to a waterlogged pitch, Smith’s side have had a small break from footballing matters. However, things don’t get any easier for the Midland League Division One leaders as they make the trip an in-form Hinckley who sit fifth in the table. Likewise, Sporting are also on a good run of form and sit two points clear at the top of the table with seven games to go and Smith believes tonight’s fixture will be a real test. 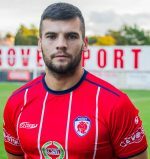 “Hinckley are up there for a reason but they’re 15 points behind us and as they had hopes of promotion, they’re not doing as well as they wished,” he said. “It will be our fourth consecutive away game but personally, being home or away makes no difference to us. “We get fantastic support whether we are home or away so we just need to go out there tonight and put on a performance. “I’m without three of my four key midfielders going into the game so we’re a bit light on players. Ahead of tonight’s game, Smith will be without Sam Wills (work commitments), Nathan Walker (knee) and Reece Hewitt (knee) while young prospect Ethan Hanks is unavailable due to a trial at League One side Chesterfield. However, striker Jozsef Jakab is expected to make a return alongside Daniel Morris. Smith was also pleased to see that Worcester City will now be sharing the Victoria Ground for the next two seasons with the option of a third. A deal between the two sides was announced on March 31 after Worcester City revealed earlier in the year they would be leaving Aggborough – the home of Kidderminster Harriers – where they have been playing their trade since 2013. “It’s tremendous news for both clubs involved,” Smith said. “First and foremost there’s the financial gain for us as more money is put into the club and then it’s good news for Worcester as they’ve got themselves a ground to play at for the next few years. “There’s also the added bonus that if Worcester fans don’t fancy travelling far for away games, hopefully we can attract them to come down to the Victoria Ground to watch our games.